I’ve been writing for as long as I can remember; poetry, journals, short stories, adult fiction, creative non-fiction and YA fiction. In the beginning I mostly wrote for fun until I realized I actually had a few chapters of a story. Now, let me clarify. I didn’t have the beginning, the middle or the end. I had a piece of the beginning-ish, a little of a middle and an idea of what MIGHT happen at the end. Confusing? You betcha. That’s when I decided to be a full time writer. I was like a lump of clay that needed molding. So I signed up for a creative non-fiction class at our local community college. Truth be told, I wasn’t all that interested in creative non-fiction but it was the only class that fit into my schedule. It had been a while since I sat in a classroom and to say I was nervous would be a huge understatement. To say that I had to do a lot of deep breathing in the parking lot before the first night of class to keep from vomiting would be accurate. But I pushed myself through the doors because I loved to write and I wanted to do it better. 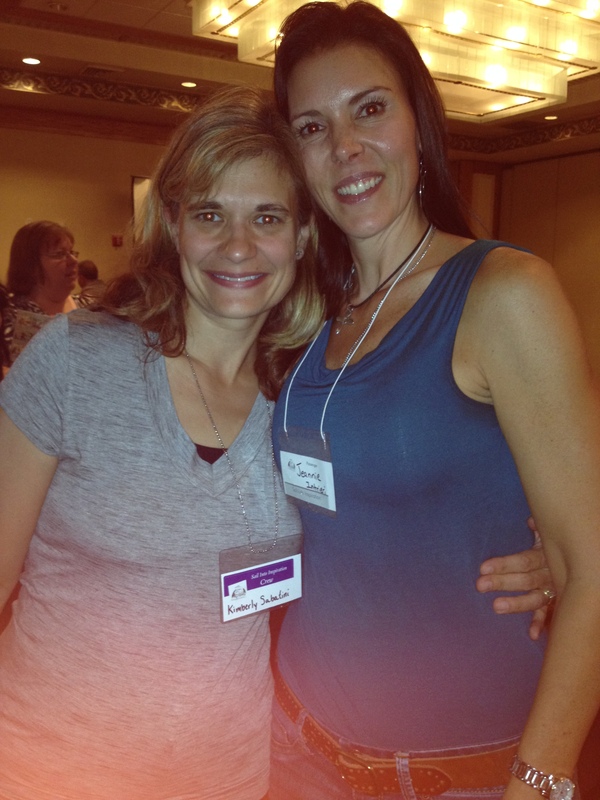 My teacher, author Lori Soderlind, encouraged me to submit my work and take more classes. I took classes on writing with humor, constructing a mystery, creating a protagonist, adult fiction, writing for teens, romance in writing, YA fiction and countless others. I went to author talks at the library and I served on the board of directors for the Friends of the Cos Cob Library. I used to have a hard time telling people I’m a writer. I mean if you don’t have a book published yet, buy-able at Barnes and Noble, it feels a little weird to proclaim your authorness. But I did it anyway. It pushes you to get your work published because if you keep telling people you’re a writer and you don’t have anything published, they start to think you’re a nutbag and avoid you in the grocery store. Once I came out of the literary closet people wanted to read my stuff. Then I had a short story published and it was the best fifty bucks I’ve ever earned! The people in the industry that I’ve met have been extremely generous with their guidance and general cheerleader-ship. Which brings me to now. I got your name from a friend of mine who was your brother’s college roommate and I was wondering if I could ask you some questions. The author got right back to me saying she would be happy to talk in a few weeks when her schedule calmed down. I added a few extra weeks so I wouldn’t give off a stalker vibe. I’m not sure if you remember me. I’m a friend of your brother’s college roommate and a YA author. I’m sorry to poach on your brother, who I admittedly still do not know at all, but I could really use some guidance if you have a few minutes.” And that is how I met the fabulous Kimberly Sabatini, TOUCHING THE SURFACE(simon Pulse – Simon and Shuster, October 30, 2013) http//www.kimberlysabatini.com *horns blow, crowds shout*. Kim has been amazing with her time and advice. The best advice she gave to me most recently was, “You’re going to get published, just be patient.” I’ll be the first one to say patience is not always easy. But if you’re going to be a writer it’s one of the most important tools to have in your toolbox. 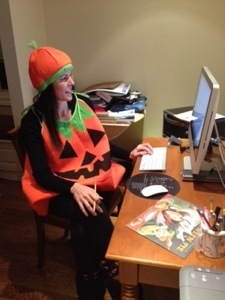 Happy Writing….and Halloween!!! Boots, Peanut Butter, and Halloween! If you’re looking for the common thread in these three things it’s only in my mind. And if you thought this blog was just going to be about writerly/authorly things… No way! Fall is my FAVORITE time of year. My birthday is in September, which I like to treat as my own personal holiday and drag all friends and family along for the ride. It’s not about the presents. It’s about the multiple times I can have cake! 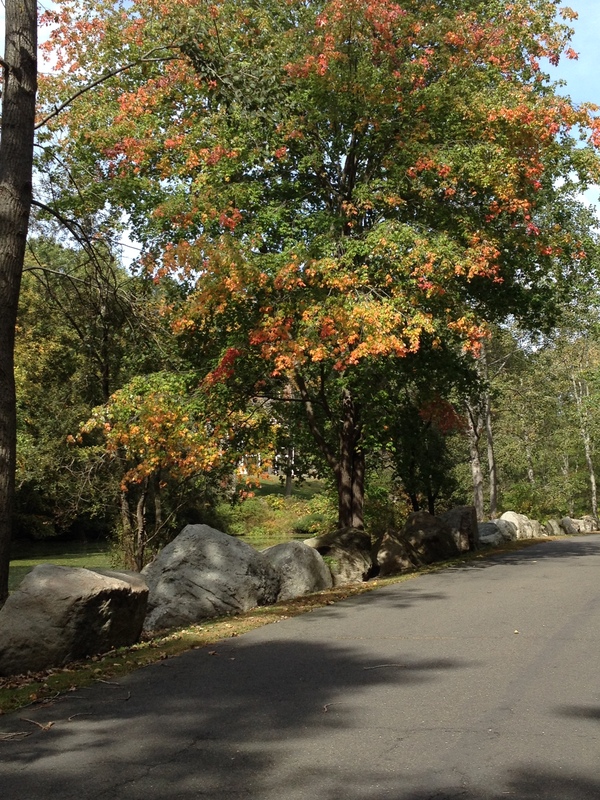 Connecticut foliage is amazing… until the leaves fall in my yard and I have to partake in raking. Not a big fan. But then there’s tea and baking and cool days that require a sweater and everything pumpkin and Halloween costumes and Halloween! I love other holidays, like Easter and Christmas (more cookies! ), but I gotta say Halloween is huge in my world. When I was a kid I excelled at dress-up. I was one of the kids you see walking around in a costume in June…February…December, whenever. And if I wasn’t rockin a full costume you could bet I was wearing some part of one, be it a wig, a hat, long silk gloves, or my mother’s lacy white nighty that I thought was a ball gown. And who hasn’t stomped around in their mother’s high heels a time or two! 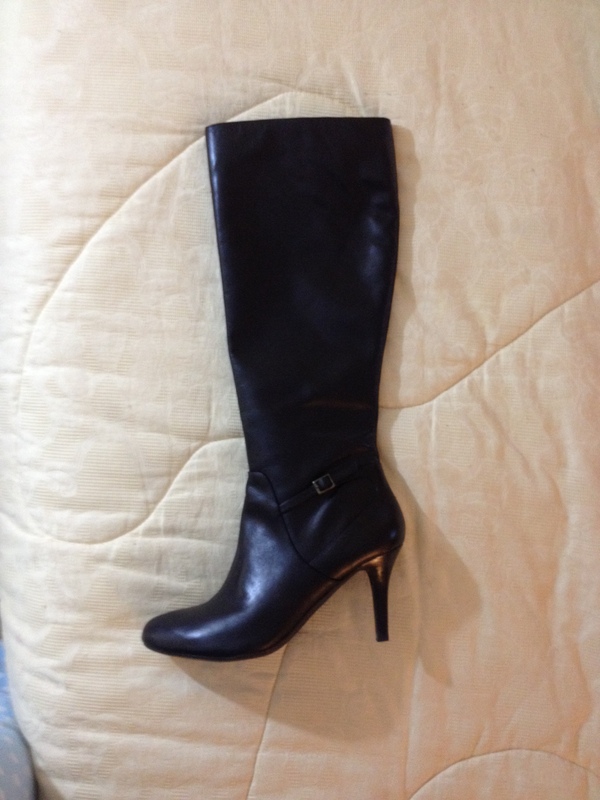 Which brings me to…Boots! I LOVE boots. Another reason to love the Halloween season! I usually find them at DSW, Famous Footwear, and Marshalls. I’m going to let you take a peak into my obsession, I mean recent additions to my collection because I always like to share a good bargain. These b.o.c. babies were on the clearance rack at Famous Footwear for $5!! I kid you not. I had to buy them or it would have been disrespectful to the boot gods. Then I found these Tommy Hilfiger’s at Marshalls for $69.99. Again… thank you boot gods! 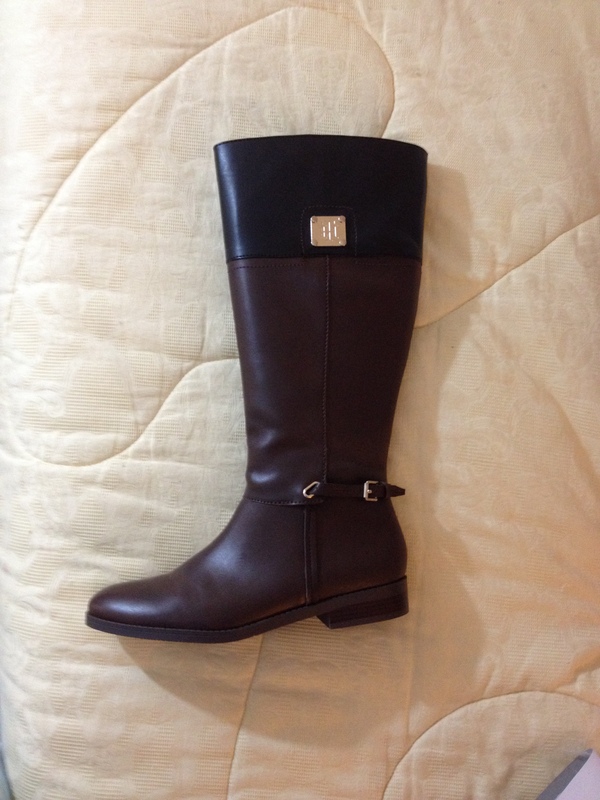 And these DKNY beauties, also at Marshalls, were $59.99! *angels sing* Yes, these are high heels, and no, I don’t often wear them because they make me about six foot two, so these may actually be, as my dear friend Asa calls them, “sitting shoes”. And I’m not usually a label dropper but shoes are one place I try to get better brands. Because lets face it, if you shove your bottom into a pair of jeans that don’t fit too well, you’re not going to be crippled. Uncomfortable and barely able to breath, yes. Crippled no. You do that with your feet? Can you say Bunions! That being said, let’s move on to …Peanut Butter! Peanut Butter is one of my favorite food groups. My problem with it is that it’s so darn high in fat. 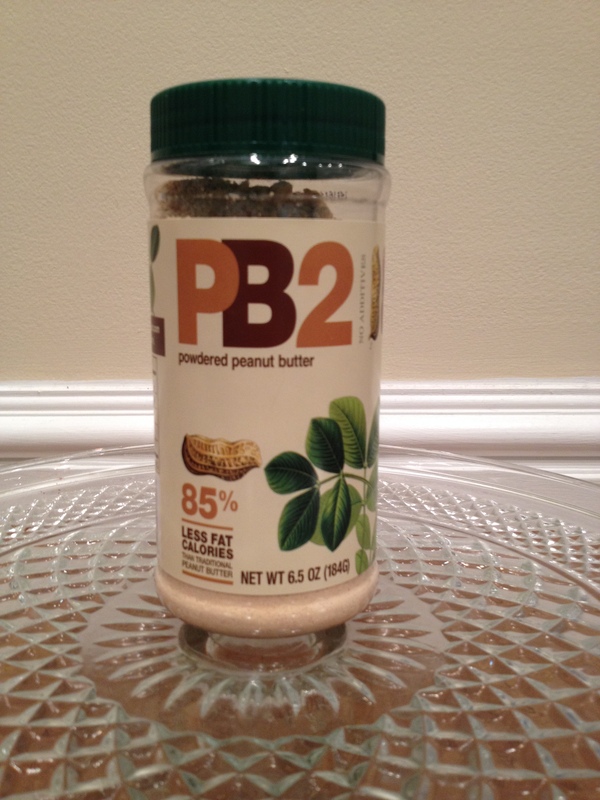 So I thought I’d share my new find with you courtesy of my niece, Samantha Ferraro, the dietician…PB2! It’s defatted peanut butter powder. For 2 Tablespoons it has 45 calories, 1.5 grams fat, and 5 grams protein. My new favorite afternoon snack is vanilla almond milk, a banana, 2Tbsp PB2 and ice. Yumm!! It gives me energy and hits my sweet craving, so it’s a win win! That’s it for now shoe-wearin-Halloween-lovin-peanut butter-eaters!…happy Monday ! Carving out time in a busy schedule to write. 6:00 AM the day starts with a horrifying sound from the alarm clock. Kids need to be woken. If you have teenagers you know this part’s almost as bad as the sound from the clock and in some cases, quite dangerous. Breakfast needs to be made and nobody wants to eat “the good for you oatmeal that tastes like poop”. The dog needs to go out, BEFORE he pees on the floor, and he needs to eat too. And if you’re me, you can’t just scoop some crap into a bowl because he’s a French Bulldog with allergies and requires two scrambled eggs even though my breakfast consisted of a cup of coffee while making lunches. You spend a short amount of time in the shower washing all the necessary parts, you dress in something you hope matches and smear some make-up on as quick as you can because you don’t want to scare anyone at the office. A quick kiss at the door to the hubby who takes kid #2 to school and you take kid #1. If you’re not lucky enough to write full-time, you head to a job that’s probably okay and brings in some money while you work on your novel, short story, poem, or what ever it is that you are passionate about. The job you go to most likely takes up a good portion of your day and at the end of the day you need to get kids to sporting events, dance classes, dental appointments, dress rehearsals, religion classes and God only knows what else. After all that, dinner needs to be made, eaten and cleaned up. Homework needs to get done and checked. The day needs to be talked about, some times in-depth, if “so and so said such and such about you-know-who and can you believe that!” After all that, and again, if you’re me, you need a half hour of exercise so you don’t kill anyone and your head doesn’t explode. It’s 11:00 PM and I haven’t written a word. I used to think I needed HOURS to write. So as the day would go on and I didn’t have HOURS, I would wait until the next day. And the next. And the next. Before I knew it days passed and by the next time I got back to writing I would have to reread everything to catch up. Reading would take up all my allotted time and I’d be right back where I started. Then I took a creative writing class where I heard author Howard Roughan say, “you have to write everyday if you’re going to be a writer”. I was like, buddy walk a mile in my shoes! But by the end of the class I realized what he was saying. Writing everyday doesn’t have to consist of a chapter or even a page. It could be a sentence. A fantastic phrase. An amazing piece of dialog. A description of the perfect scene. A new character’s name. Before I knew it I was writing tiny bits on napkins at Dunkin Donuts, a word or two on the palm of my hand while stopped at a red light, just something that I could hook onto IN-BETWEEN the moments of my life. Because truth be told, my life, the hubby, the kids, the crazy egg-eating dog, are pretty wonderful. I just needed to find a balance. I found the balance IN-BETWEEN everything else. It wasn’t so much a decision because I NEED to write. It’s a passion. It’s part of what makes me, me. So I took all the bits and pieces and before I knew it, I had an idea. Not long after that I had two chapters. A few months later I had a finished manuscript. You have to be disciplined. You have to write every day. Something. Anything. Before you know it you’ll have napkins, discarded faxes, candy wrappers and marked up body parts with some of your best ideas. Start weaving it all together and before you know it you have a story! What are your IN-BETWEEN times? How do you fit writing into your busy schedule? Give me some good tips to steal! Happy Writing…See you next week! Welcome to my blog! I’m here to tell you about my books, writing, and funny thoughts that cross my mind at any given time.